For gamers, the HTC One offers speed. This is a result of its 1.7 GHz processor and 2 GB of RAM. For those gamers who wish to use their phone for online gaming, there are no worries of sluggish game performance with this phone. 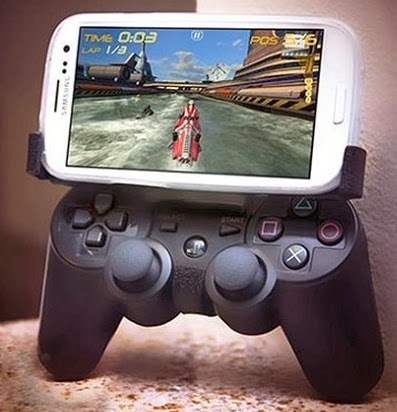 Gamers want phones that let them play quick games without hesitation. The HTC One can definitely deliver. The iPhone 5 is another phone worthy of gaming. While this phone may have a smaller screen than an Android phone, the 16:9 ratio of the HD screen improves the look of games played in the landscape format. The touchscreen gaming is quite comfortable on this phone when trying to access gaming controls. The Samsung Galaxy S4 is another option for a gaming phone. In fact, some assert that this is actually the best phone for gaming. The device comes with an impressive 5 inch HD Super AMOLED screen. Game play is fast thanks to the quad core Snapdragon 600 processor which is important for a mobile phone that will be used at an online gaming websites. The Moto X is another device which can be ideal for online gaming experience. Games download quickly and play with no lag time thanks to the built in dual core processor. With a large 4.7 inch screen, the graphics are quite stunning which is important for online gaming that have gone to a lot of effort to make their games very realistic. With the popularity of Online Mobile Gaming rising at an alarming rate, there is no wonder the specification of new mobile devices are becoming so advanced. It sure is an exciting time for mobile enthusiasts of all ages to keep a keen eye on future developments.